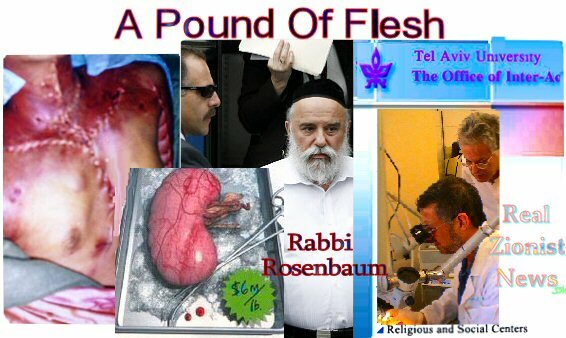 Israelis caught in organ harvesting: Again! Israel daily YNet reported on May 22, 2012 that Israel Police’s National Fraud Unit has arrested ten Israelis on Tuesday including one physician for allegedly part of an organ harvesting network operating in Israel’s two Muslim allies – Azerbaijan and Kosova. The arrests came as result of a month-long investigation launched after the European Union’s police and justice mission operating in Kosova informed Israel police that a Turkish national who was arrested in Kosova told investigators that he had a kidney removed. According to the investigation, the victims were destitute people who were bribed to sell their organs for thousands to tens of thousands of shekels. The police believe that the network worked in Azerbaijan and Kosova. According to investigators, the organ recipients paid more than $100,000 for the organs. The organ harvesters, police said, did not provide the donors with the necessary medical care and kept them in dark regarding the risks involved. In 2000, Dr Yehuda Hiss, former head of the Abu Kabir forensic institute near Tel Aviv – admitted that his staff was involved in harvesting skin, corneas, heart valves and bones from the bodies of Palestinians killd by Israeli soldiers. The secret of Israeli organ havesting came into open in 2009 when Sweden’s top newspaper Aftonbladet leaked the story which had been kept under the carpet by the Jewish-controlled western mainstream media. The Palestinians have been saying for decades that the Jewish soldiers, some times, have killed Palestinian youth to collect their body-parts for money. In August 2010 Ukrainian police busted an Israeli-run organ trafficking network illegally recruiting organ donors to send their body parts to Israel. In 2009, Ukrainian professor Vyacheslav Gudin, had claimed Israel had brought around 25,000 Ukrainian children into the country over the past two years in order to harvest their organs. Donald Bostrom wrote: “Half of the kidneys transplanted to Israelis since the beginning of the 2000s have been bought illegally from Turkey, Eastern Europe or Latin America. Israeli health authorities have full knowledge of this business but do nothing to stop it. At a conference in 2003 it was shown that Israel is the only western country with a medical profession that doesn’t condemn the illegal organ trade. The country takes no legal measures against doctors participating in the illegal business – on the contrary, chief medical officers of Israel’s big hospitals are involved in most of the illegal transplants, according to Dagens Nyheter (December 5, 2003)”. In September 2010, Israeli-linked organ harvesting ring was busted inside South Africa’s largest healthcare company Netcare. This entry was posted in Jewish Crimes, Organ Harvesting. Bookmark the permalink.